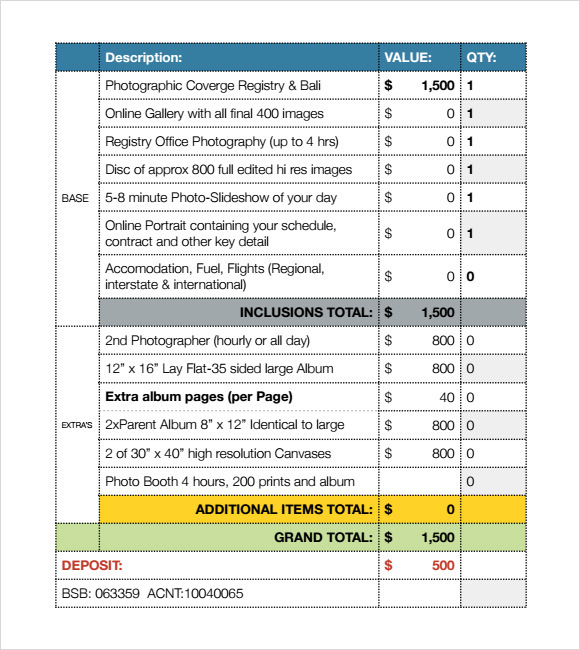 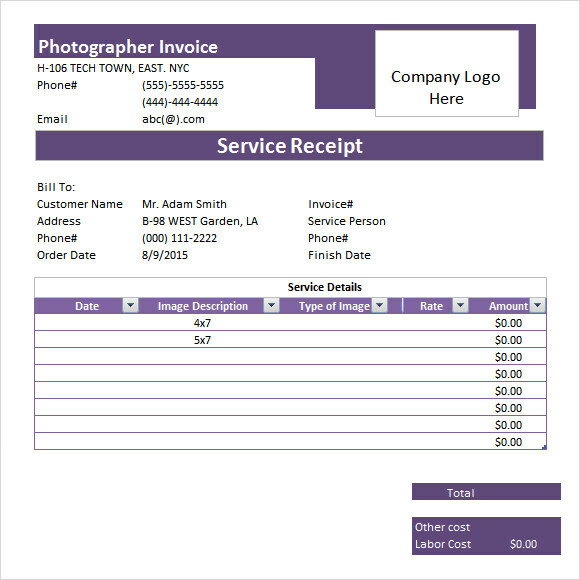 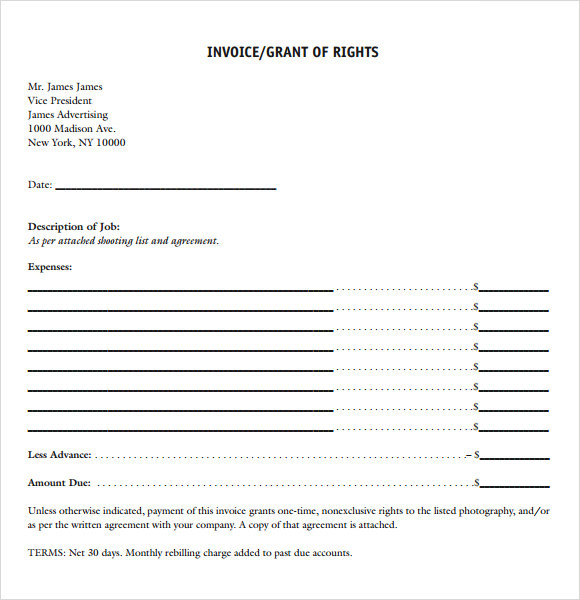 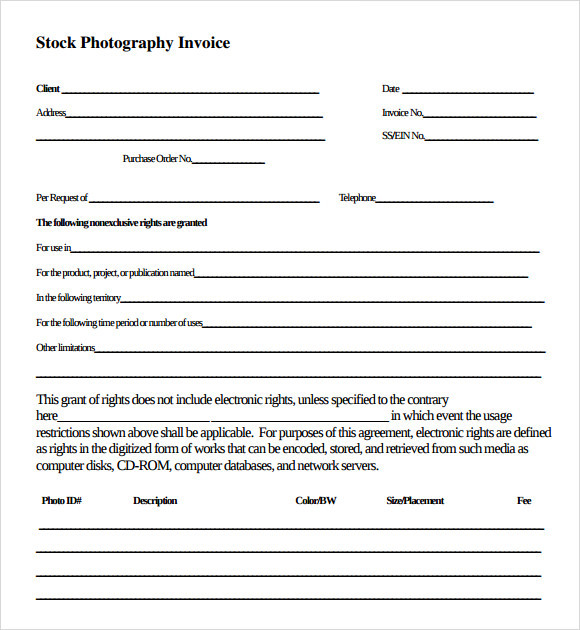 For the service of the photographer in an event or for personal purpose, a photography Sample Invoice Template will give the customer the needed payment for every shot taken, any personalized request or modification in the photos and any additional materials needed for the photoshoot as it will serve as the bill record of their transactions. 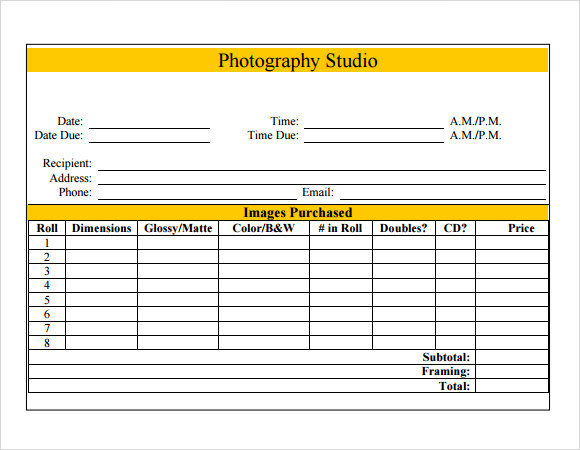 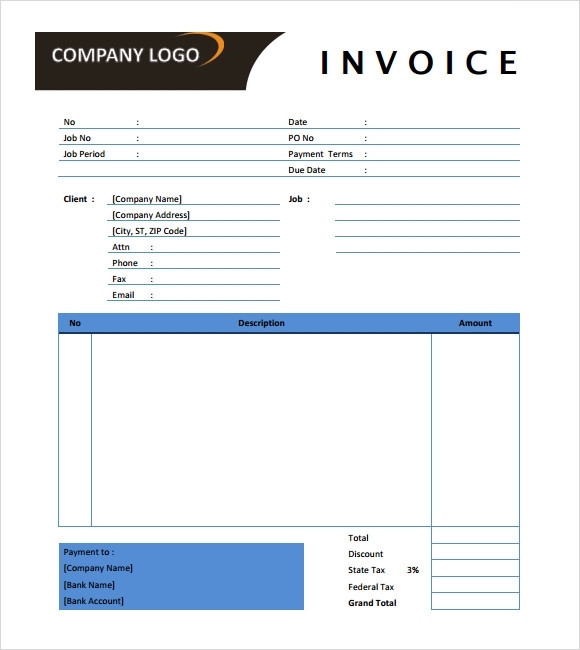 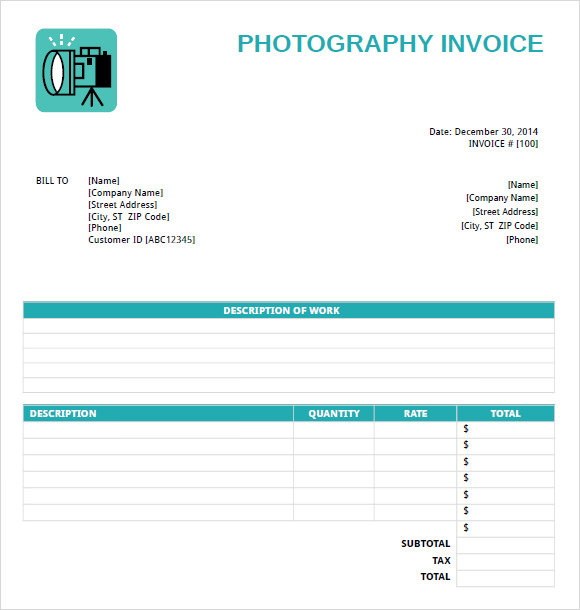 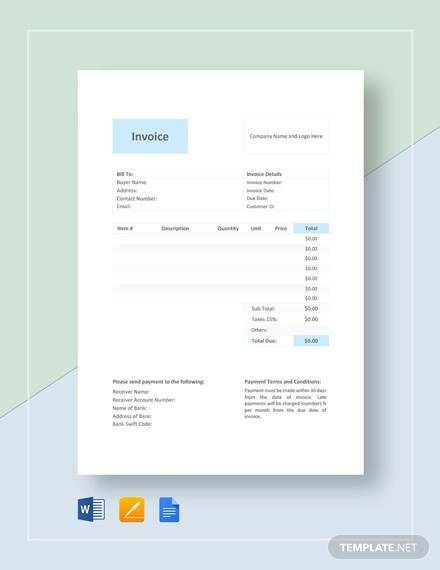 An example template can be seen and can be downloaded; a invoice template format can be yours in which you can add business details of the photographer as advertising medium. 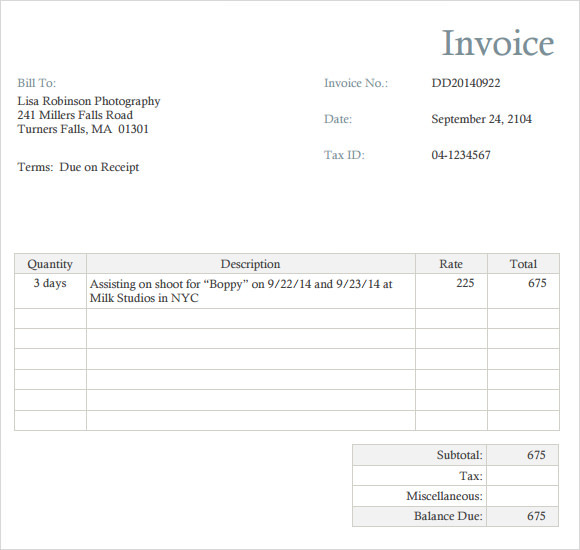 Photography invoice can be useful when there is a clarification when it comes to order, it will save the photographer for any claims or unnecessary request of their client.